If you have any questions regarding our products, please feel free to send us a quick message. 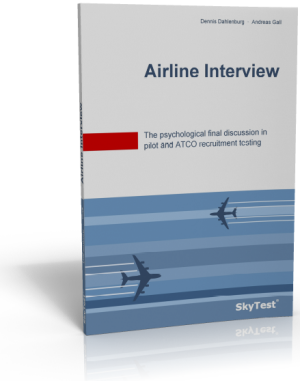 SkyTest® Airline Interview book addresses the theoretical concept that guides every airline interview and offers a look "behind the scenes" of pilot and air traffic controller recruitment. Are you a Flight Training Organization and interested in becoming a SkyTest® Partner? Learn more about SkyTest® CASE® and CATE®, our professional solutions for pilot aptitude training and screening. Delivery in EU within 7 days from order/payment date.